Looking for private in-home or in-studio Flute lessons? Our Rohnert Park teachers are ready to get you started. Find your teacher today! Online or In-Person. I've been teaching private music lessons for 13 years and my students have gone on to study or enjoy music, get accepted to honor bands, and/or gone to college to study music. Within the first few lessons, we'll start at your experience level and get to know each other. I love working with students of all ages and experience levels and I can't wait to meet you! A musician, business owner, and teacher. I have been teaching private lessons since 2003. I have performed on the flute, my main instrument, since 1995 in numerous ensembles and featured as a soloist in PA and CO including the Arapahoe Philharmonic and Colorado Flute Choir. As a Soprano, I have sung in several ensembles at Vail Valley Music Festival, Aspen Music Festival, and Sports Authority Field at Mile High. I have taught general classroom music, band, orchestra, and guitar ensembles in Douglas County School District, Aspen Academy, and Cherry Creek School District. I am also owner and teacher at Mile High Academy of Music LLC, which has been in business since 2013 offering private music lessons to students ages 4 and older. ion, and/or practice motivation. I provide the students with a patient, fun, and inspiring learning environment. Happy to teach online via TakeLessons Classrooms, Skype, FaceTime, Google Hangouts, or Facebook Messenger. I'm excited to work with you on your goals and dreams!! Rachel is very sweet, patient and a great teacher. My daughter loves taking lessons from Rachel and is learning so much. Rachel has taught my daughter so much and is great with here. My daughter says that she has learned more with Rachel in her few lessons than she learned at the recreation center after 8 sessions. We are thrilled with her progress. Chase and I love working with Rachel. She's helped us learn quickly. I think she's a great instructor to have in your organization. Instruction for fundamentals and techniques of flute as a primary instrument (or doubling instrument) in both classical and jazz styles. Flute Lessons for Beginning, Intermediate or Advanced students by Professional Teacher and Performer with over 38 years of private Teaching experience. Sessions can be 30 minutes, 45 minutes or 60 minutes long. Lessons can be once a week, one every 2 weeks or once a month. Schedule is flexible to meet the needs of the student. Focus will be reading, basics, sound production, technique and performance. Rates and location will be confirmed by e-mail contact. 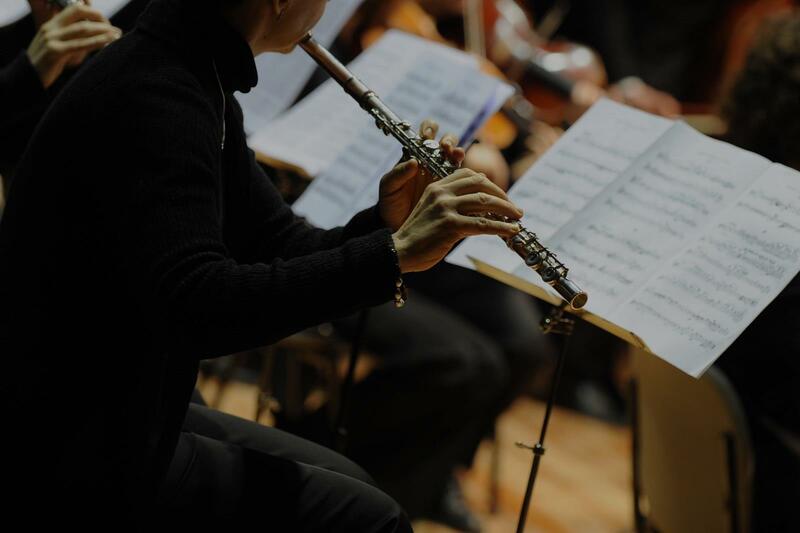 With years of experience playing in flute choirs, flute competitions, university programs, orchestras, and as a guest artist around the world, I love helping my students to connect with the flute and conquer a wide variety of flute repertoire!